Answer Key and Detailed Solutions: Analyze your performance with answer keys and detailed solutions for selected tests. Multi-Device Platform: You can take tests on your desktop, laptop, tablet or mobile phones. Offline Test Taking: Students who don’t have access to the internet can also take offline tests. Attempt Missed Tests: You have an option to also take tests that you may have missed. Get Immediate Results: Reports and analytics to help the student analyse their strengths and weaknesses. 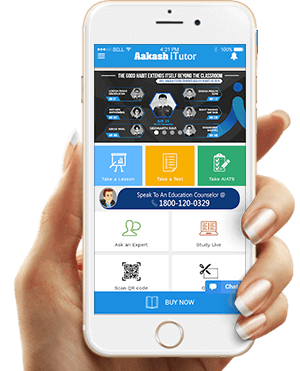 Get Aakash's high quality learning content in your pocket. © 2018 All rights reserved by Aakash Digital.